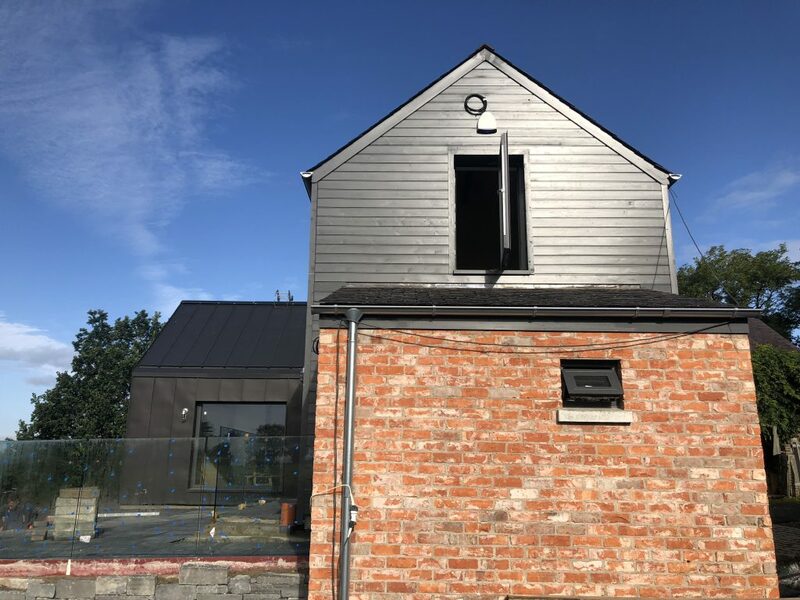 Texture and character are created in this new barn conversion with materials from Wilson Conservation of Hillsborough.This barn conversion features black timber to the original block, black zinc cladding to projecting living extension with salvage brick lean to. This entry was posted in Architecture, Construction, Uncategorized by Anita. Bookmark the permalink.